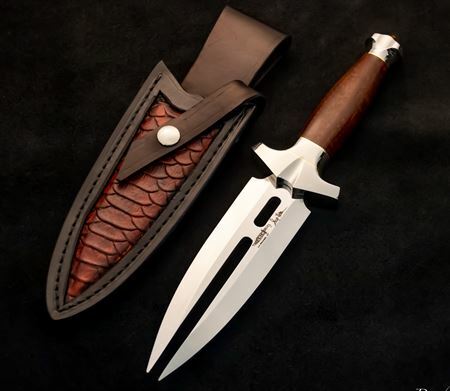 The knives shown here are all handmade by Hibben Knives in LaGrange, Kentucky. These are in inventory and available for immediate delivery. You can also order popular models to be custom made for you under the "Made To Order" section.